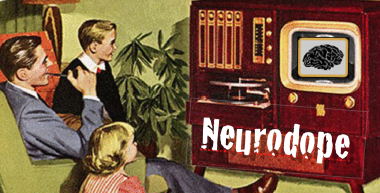 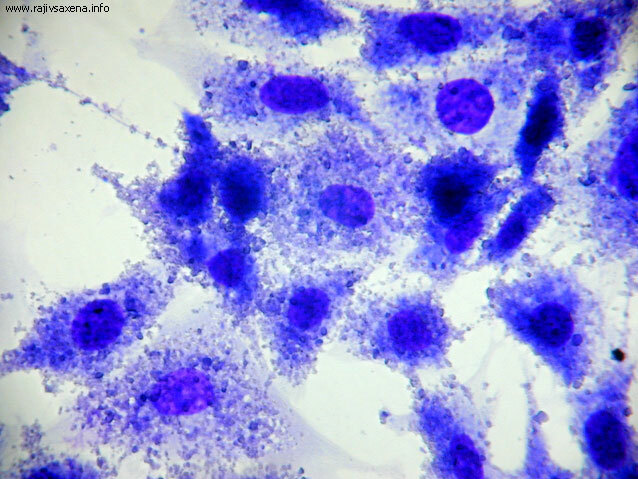 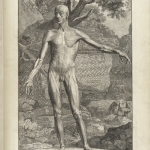 The National Library of Medicine keeps an outstanding historical record of historic studies in the human anatomy. 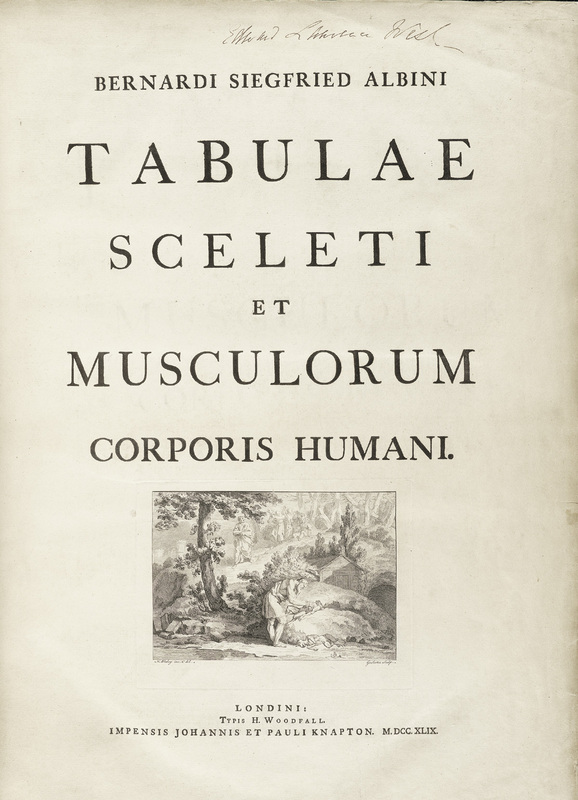 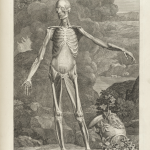 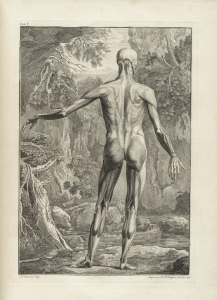 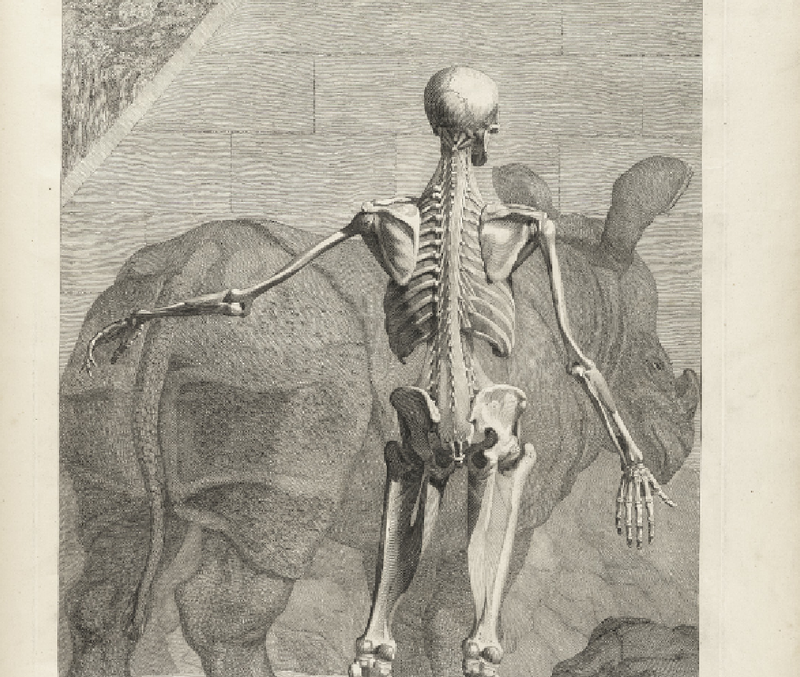 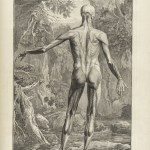 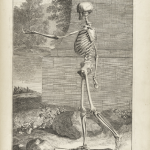 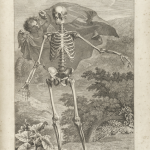 Here is a publication from the year 1747 by Bernhard Siegfried Albinus entitled “Tabulae sceleti et musculorum corporis humani.” An English translation of the text of Tabulae was published in London in 1749 under the title, Tables of the skeleton and muscles of the human body. 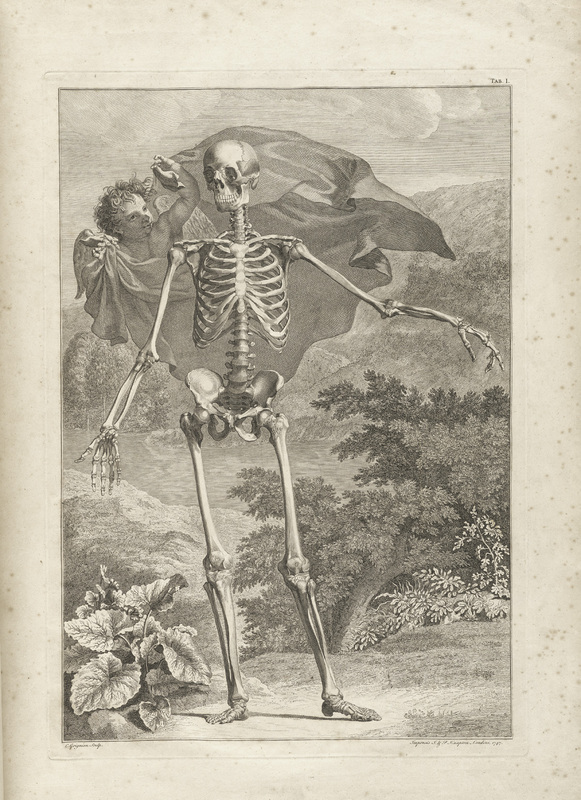 Albinus, Bernhard Siegfried. 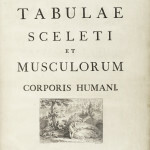 Tabulae sceleti et musculorum corporis humani. 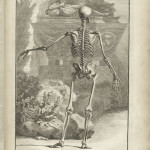 (Londini : Typis H. Woodfall, impensis Johannis et Pauli Knapton, 1749). 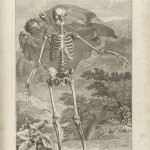 Bernhard Siegfried Albinus (i.e. 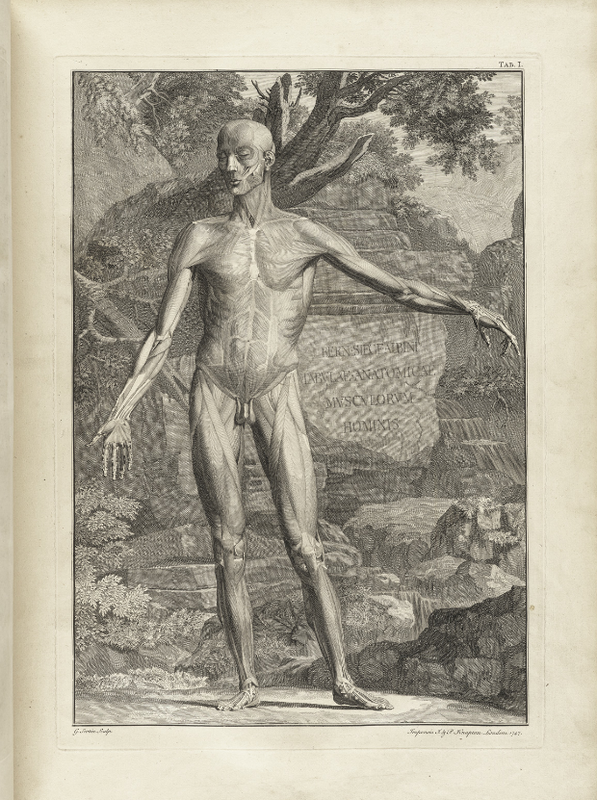 Weiss) was born in Frankfurt an der Oder on February 24, 1697, the son of the physician Bernhard Albinus (1653-1721). He studied in Leyden with such notable medical men as Herman Boerhaave, Johann Jacob Rau, and Govard Bidloo and received further training in Paris. He returned to Leyden in 1721 to teach surgery and anatomy and soon became one of the most well-known anatomists of the eighteenth century. 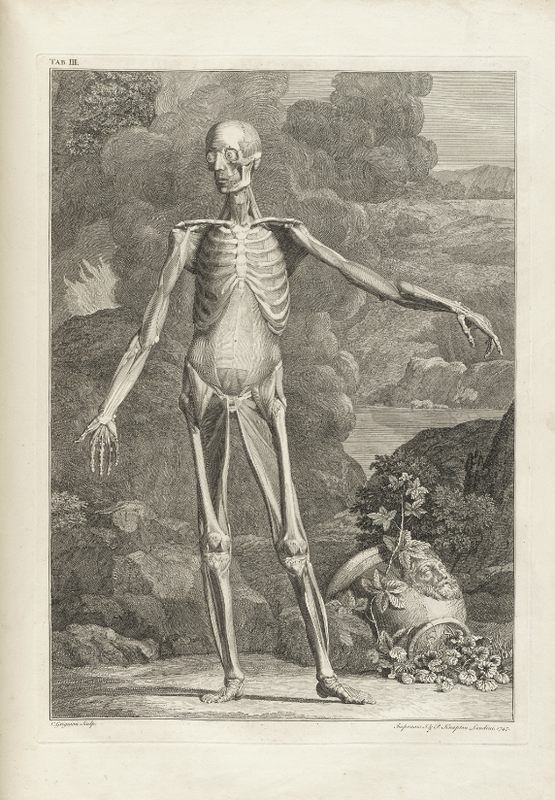 He was especially famous for his studies of bones and muscles and his attempts at improving the accuracy of anatomical illustration. 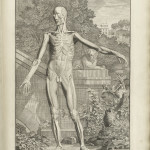 Among his publications were Historia muscolorum hominis (Leyden, 1734), Icones ossium foetus humani (Leyden, 1737), and new editions of the works of Bartholomeo Eustachio and Andreas Vesalius. 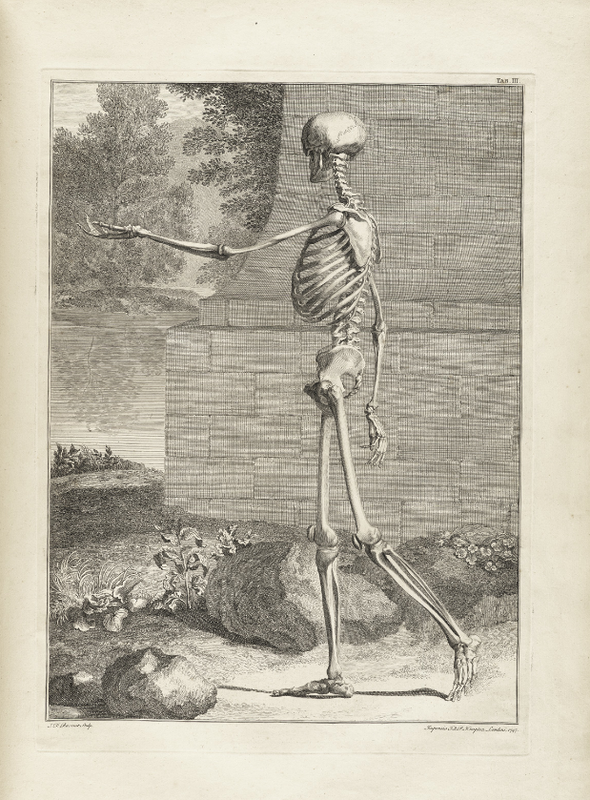 Bernhard Siegfried Albinus died in Leyden on September 9, 1770. 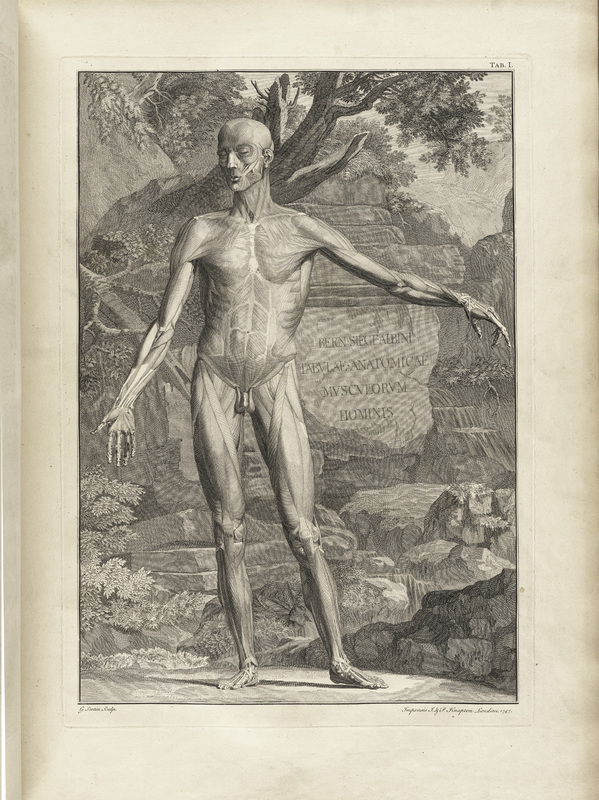 Bernhard Siegfried Albinus is perhaps best known for his monumental Tabulae sceleti et musculorum corporis humani, which was published in Leyden in 1747, largely at his own expense. 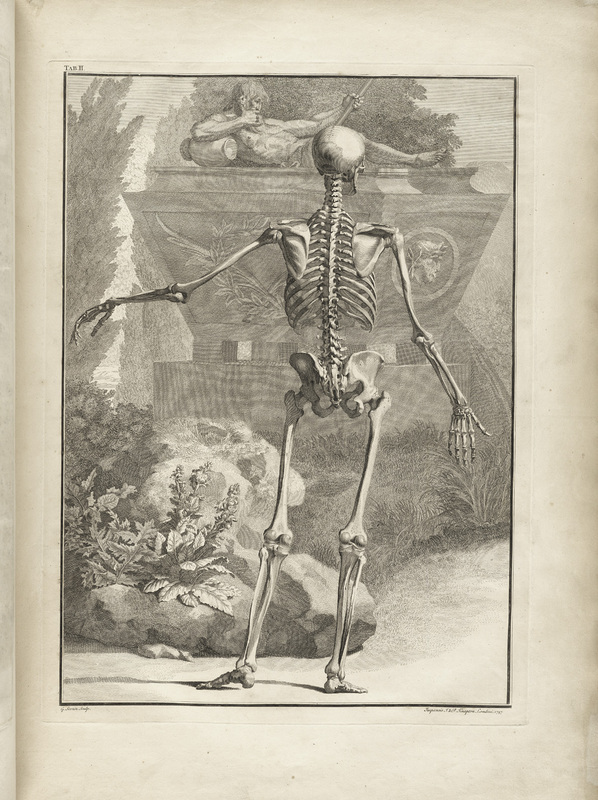 The artist and engraver with whom Albinus did nearly all of his work was Jan Wandelaar (1690-1759). 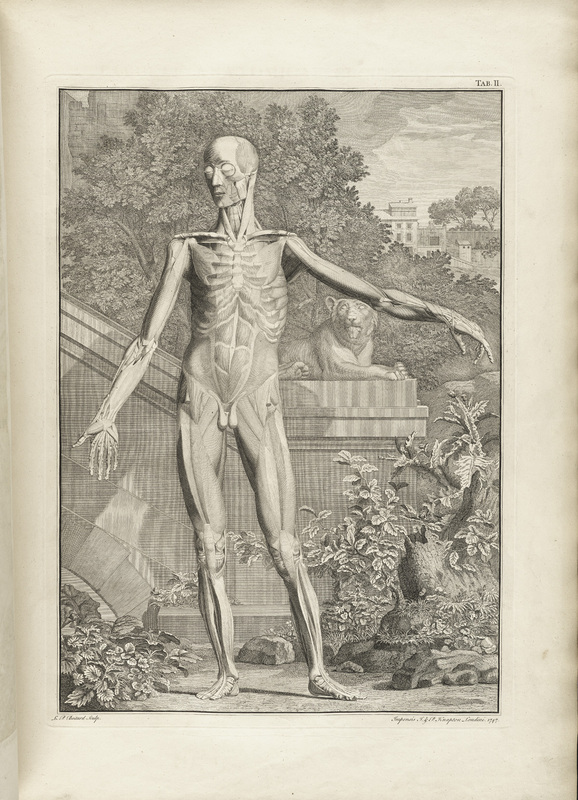 In an attempt to increase the scientific accuracy of anatomical illustration, Albinus and Wandelaar devised a new technique of placing nets with square webbing at specified intervals between the artist and the anatomical specimen and copying the images using the grid patterns. 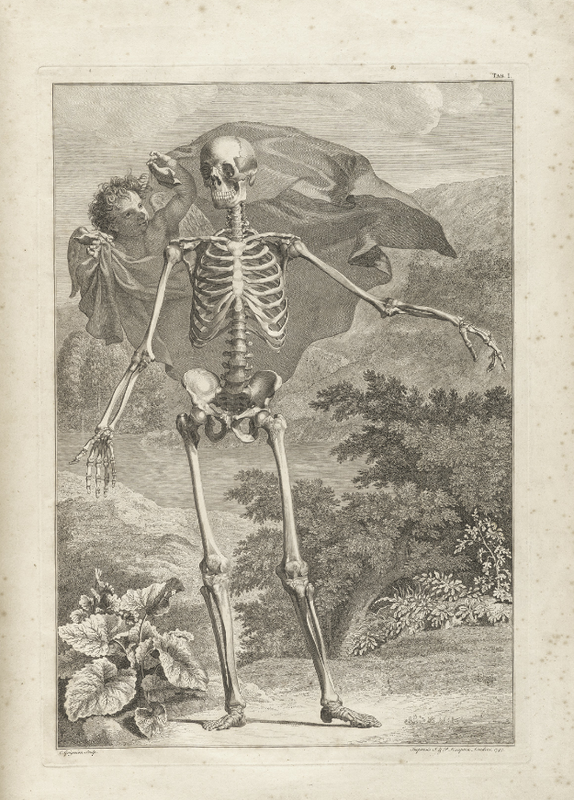 Tabulae was highly criticized by such engravers as Petrus Camper, especially for the whimsical backgrounds added to many of the pieces by Wandelaar, but Albinus staunchly defended Wandelaar and his work. 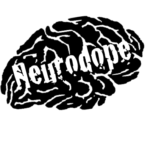 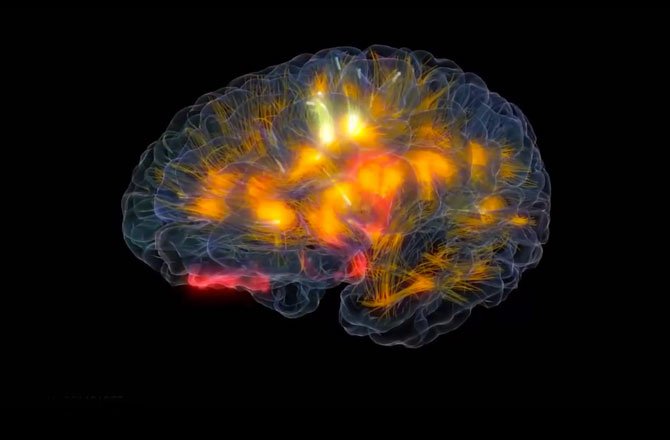 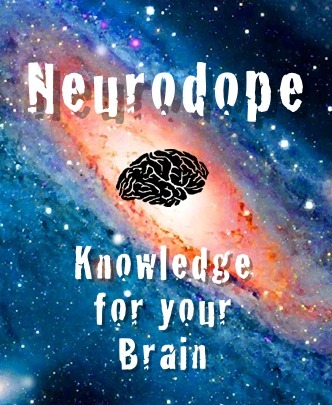 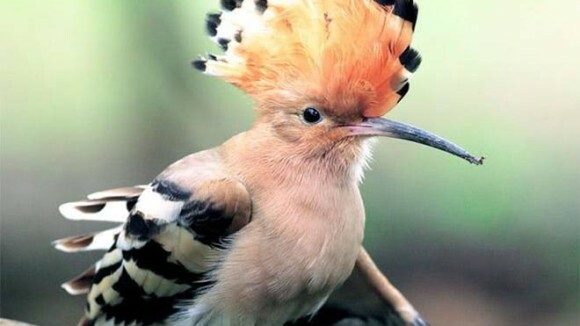 Does the Bird Brain Have the Capacity for Fun?